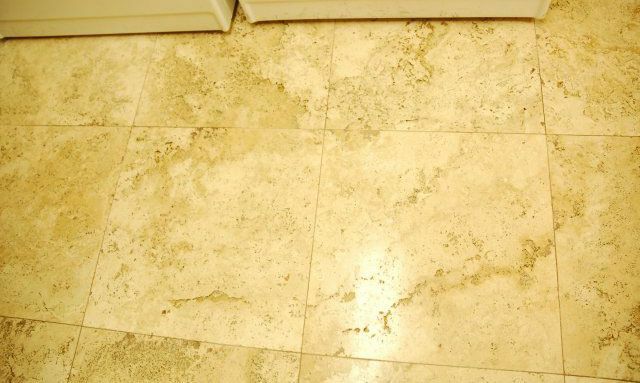 A Carmel Valley couple purchased a home with a laundry room that had a travertine floor. 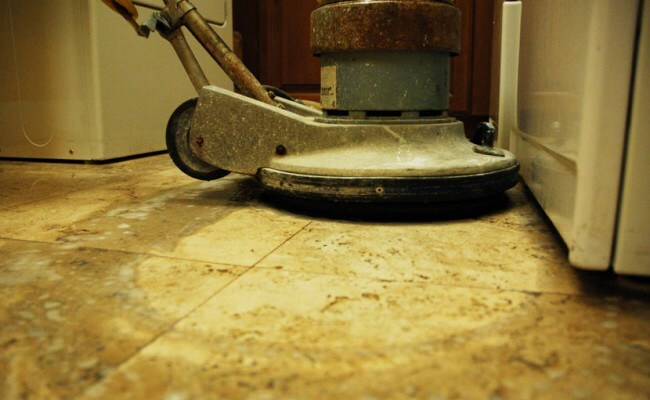 After moving into the home, they realized the travertine desperately needed to be professionally cleaned and restored, so they called us to discuss their options. First, we honed the floor using a 220 grit followed by a 400 grit diamond resin floor pad. This gave the floor a soft sheen. 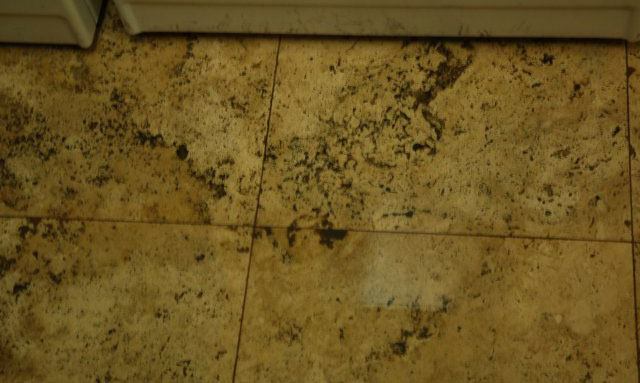 During the travertine honing process, we used a specially formulated stone cleaner to restore and enhance the natural color of the travertine. Next, we deep-cleaned the grout lines, removing the dirt, grime, and allergens trapped beneath the porous surface. 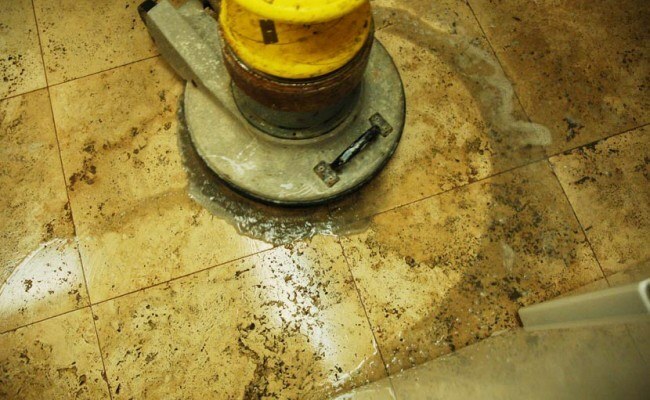 Our last step was to use a solvent-based impregnating travertine sealer to help protect the floor from spills and to make regular cleaning more productive. The homeowners were very pleased with the amazing results we were able to achieve.